Our beads all (except for the few borosilicate) start with the canes that Effetre produces in much the same fashion they have been doing since the late 1800s. 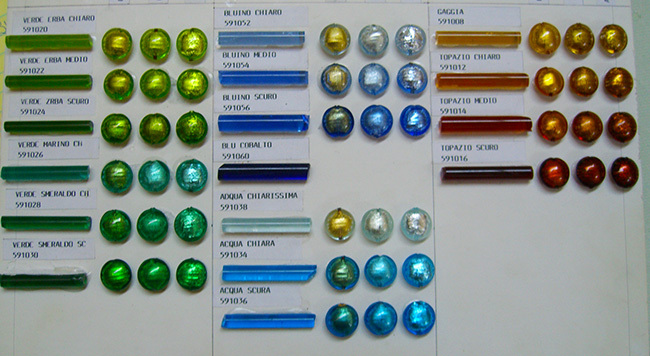 That is not to say that Venetians and Muranese did not make beads before Vincenzo Moretti began his production of Murrine and subsequently branched into all colors of glass canes. 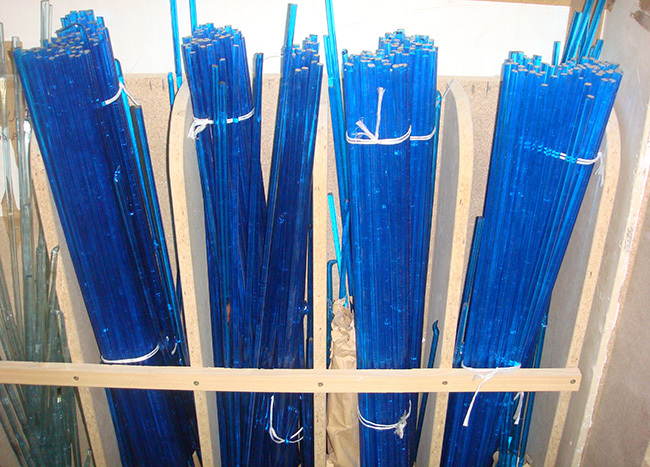 The furnaces of Murano could all make glass canes. It starts with the batches they create each night. But the Moretti family concentrated the production, and made it easy for bead makers to buy in small batches. Even today our bead makers go to the Effetre warehouse to buy canes by the kilo. It is a secretive place and definitely not open to tourist. Even the largest importer of Moretti canes in the US, Mike Frantz, tells me he has not seen the entire production areas. I sometimes get go with a bead maker, but definitely no cameras. I count on the office manager to take care of delivery to the bead makers where we supply the materials. Well the catalog is actually small pieces of canes in a binder. And if you are looking at newer colors, hand prepared, then they just cut off a piece of cane and put a sticker on it for you, like one of my favorites, Blue Inchiostro. It has yet to make it into the books! 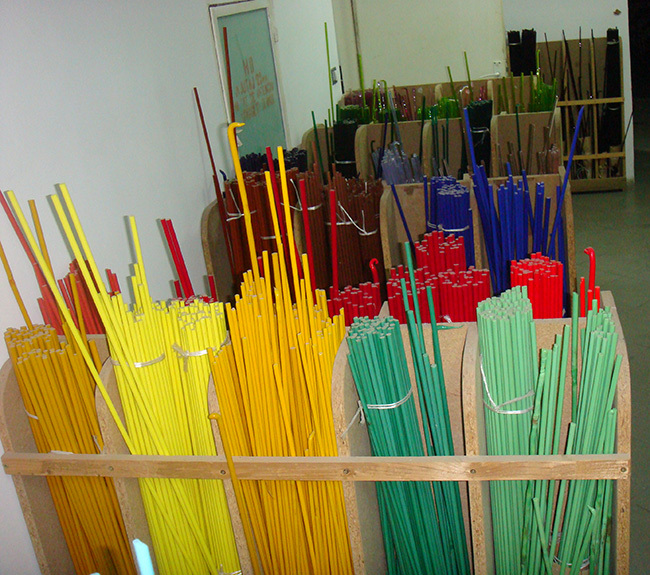 My office always is full of pieces of canes, millefiori and samples we have tried. Fortunately Moretti had the forethought to give the canes a 6 digit number, though most of us just use the last 3 digits. It takes a good bit of imagination to work on beads. Like the artist pallet, there are always things that influence the outcome, the color. You can see in the chart below how the color changes just be adding Gold, Silver or White Gold. And you can see we have our own color codes which are almost uniformly. That’s because late at night I might give something a different number – but never intentional. White gold foil beads are produced White gold which is an alloy of gold and at least one white metal, such as silver or palladium. Yellow gold is measured in Karats. 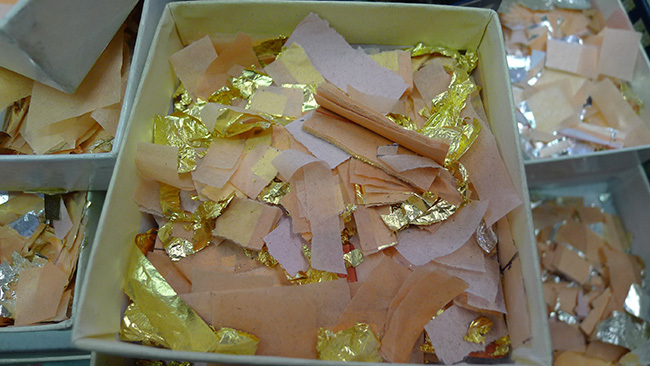 With Yellow Gold, there are two applications, interior and exterior and exhibit the same behaviors. White gold tends to tone down the color, giving the colors a softer look. Think about the difference between Sterling Silver Jewelry and White Gold Jewelry, where the White Gold it has a much softer glow. The little pads of the precious metals are sold by the weight to the bead makers. It is expensive but fortunately it takes only small amounts for each bead. Every bead maker has a stash of canes. 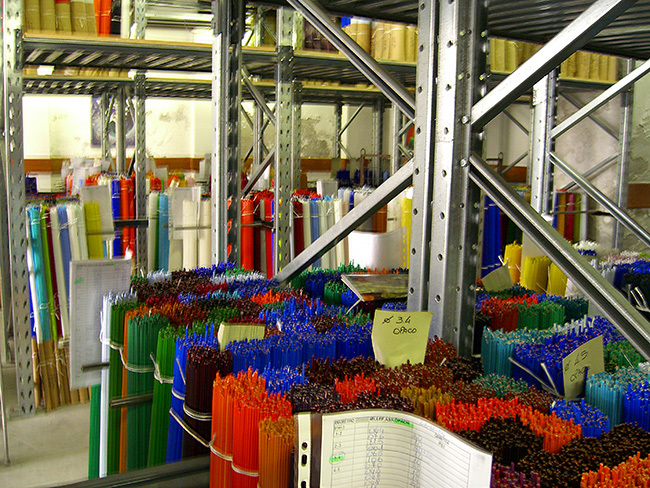 Our bead makers have serious supplies of glass. There are a couple reasons. 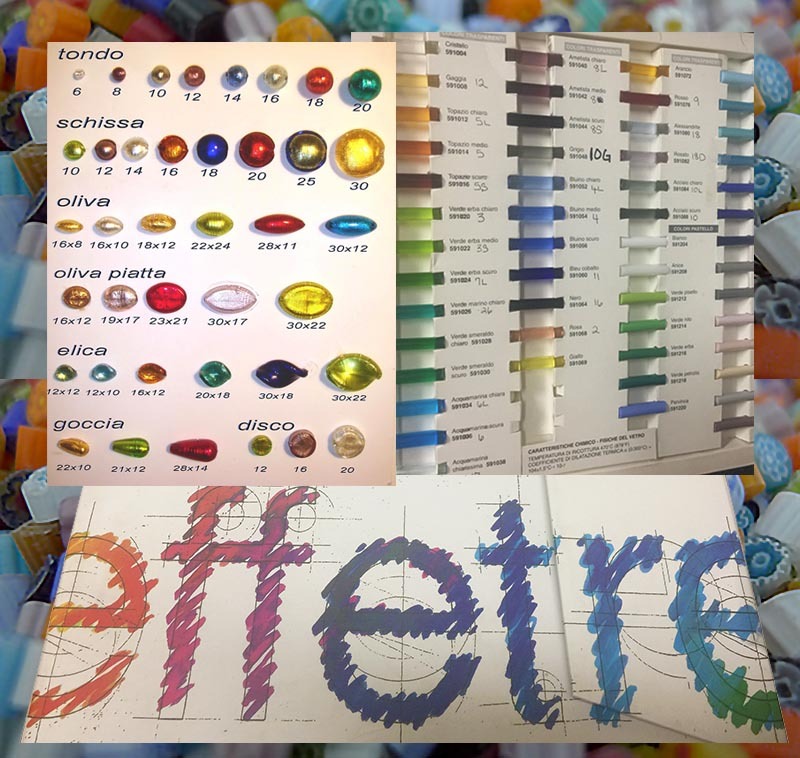 1) We need lots of beads and 2) Effetre has a schedule for making the glass, and they NEVER deviate from this schedule. If we need Green and they are sold out, then we just have to wait. The batches are in about 250-300 Kilo and if we do not like the Red, then we still have to wait. Not only do we have to wait for the schedule, we also have to wait until they have sold all of the Red we do NOT like. Now that we have the colors, then you must decide shape, size and decoration. Thanks Patti, some day you’ll have to come to a show. I will tell you much more. I always say never ask me about glass. It is my passion! I was lucky enough to have a very dear teacher in Murano…One day I will write about him.